Anarchylive: Why Prepaid Cell Phone Service might be better for you! Why Prepaid Cell Phone Service might be better for you! There was a time when having a prepaid cell phone meant your credit was too messed up to get service at one of the larger providers. However, things are changing and more and more people want to be in control of their cell phone provider, not the other way around. What if I told you that you could have a plan with Unlimited Talking, Unlimited Texting and 2GB of data for just $45 a month? Or if you are like me and you don't talk on the phone much, a plan with 100 Minutes of talk time, unlimited texting and 5GB of fast 4G connection for $30 a month? You would probably think these are some seriously crappy services. Well, they are not! The $45 a month plan is from Simple Mobile, a company that uses the T-Mobile and AT&T towers. The $30 a month plan is straight from T-Mobile. I first got the idea from the Galaxy Nexus section over at the XDA forums. But before I continue let me explain a little something. In the USA we have 2 types of cell phone providers. CDMA type, these are the ones that require an EIN number from your phone in order to work, providers like Verizon, Sprint, US Cellular. Then we have GSM, these are the ones that use a SIM Card that you can switch from phone to phone, in the US the GSM providers are T-Mobile and AT&T. The CDMA technology however is dying, the rest of the world uses GSM. For some reason here we have stuck with it. OK now, the idea of switching to prepaid is to be in complete control of your plan and to also save a lot of money. If I want to try T-Mobile today I can do that, if I want to try Simple Mobile next month, I can do that, if I want to use H20 the one after I can do that too. I use whatever service I want. Well first of all you need a phone that is 100% yours. When I say 100% yours I mean an unlocked phone. Normally carriers lock their phones so that they can only work with that carrier. Probably one of the main reasons why we still use CDMA here, control. It is also the reason why you can't put a T-Mobile sim card in an AT&T iPhone and have it just work. Getting an Unlocked smart phone tends to cost a lot of money. I'm talking $600-$800. A difficult price to just pay up, but you can make up the price of the phone and more in the savings. Now it's even easier, you can actually get an unlocked GSM Samsung Galaxy Nexus phone for $400 straight from Google by going to the Google Play Store! Once you have your phone, you need phone service. The same day you order your phone you should go online and order yourself some Sim cards. T-Mobile was selling them for 99 cents. You can find a lot of other ones right on Amazon.com for also around 99 cents. SIM Cards usually come with instructions on how to activate them, so just do that and you are all set! Try out some plans and see how you feel about them. Since you may end up switching sim cards a lot till you find the service that works best for you, I'd use Google Voice as my main number. People can call it and it will call you. It's great for text messaging as well but it wont do Picture messaging. You'd have to give your contact your current phone number for that, or ask them to email you pictures. I just did a post about Google Voice recently so check that for more info about it. Ok, so lets say you just spent $400 on a Google Samsung Galaxy Nexus. Now you feel you've wasted a lot of money instead of saving money. But let me explain the savings. Normally when you do a contract you end up paying $200 for a phone that you could have bought for $700. But then you are stuck on a 2 year contract. Lets say you just wanted a simple plan where you can have around 500 minutes of talk, unlimited texting and 2GB of data. You are paying $840 dollars more using a contract. Add to that the $200 that you already paid for the phone that you can ONLY use with them, and you've paid $1040 for a phone that can only be used with that one provider. Here in the US the large providers are all constantly looking for ways to get more of us while giving us less. There was a time when Verizon was happy to sign me up on an unlimited data plan, but now they treat me like I'm some kind of thief for using around 5Gigs a month. It's like they have enough customers so they don't care if they lose some. With these smaller providers, they have to compete against each other for those few customers, so that's why you see better prices. Competition the way it's supposed to be. 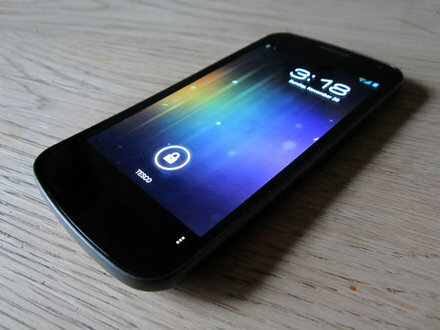 My Samsung Galaxy Nexus is a pentaband phone which means I can use it in just about any GSM network in the world. So if I'm going to Mexico for a week, I can just get me a Mexican SIM and use my phone. But I know most people don't care to be switching sims all the time. However, think about the current job market, can we really afford to be signing 2 year contracts when we don't have a clue if we'll have a secure job next month? I know that Prepaid isn't for everyone. Some of us run businesses that require the full power of a network like Verizon. But I do believe that prepaid services have come a LONG way, to the point where for most of us they would work just fine. Google Voice and why you might need it!